Hi buddy I want to know process by which I could do check Jharkhand Gramin Bank Tender notice online , so will you plz tell me process to check it ?? Corrigendum to Tendor Notice HO.IT.IJS.2016-17-01. Corrigendum to Tendor No. 2016-17/01 Dated- 13/07/2016. Extension of Last Date of Submission of Tender. 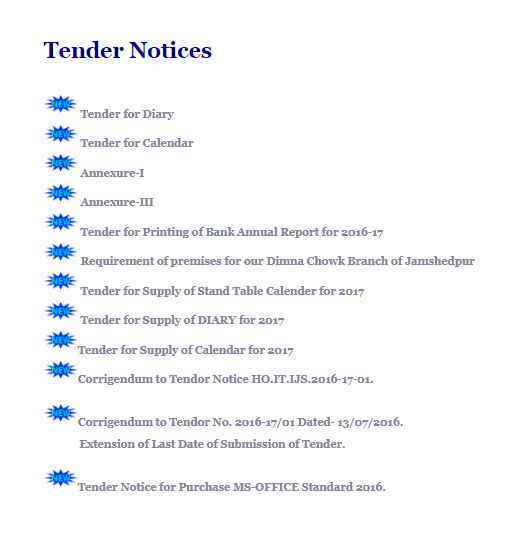 Tender Notice for Purchase MS-OFFICE Standard 2016. Your suggestions and queries are most welcome.